Our prints and other products are produced and shipped to you by Bay Photo Lab. When you select a photo to purchase, you will see product and sizing options. Under each photo we have specified the recommend size. We will review your purchase before it ships to ensure that the size and crop is correct. We now carry iPhone cases, coasters and mugs. To purchase, click on the photo you like and select the product option. A selection of our most popular images are available for purchase here. 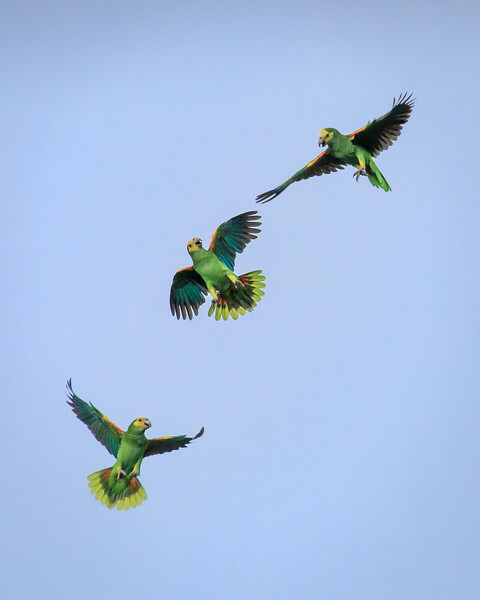 Yellow-shouldered Parrots frolic in the air on Bonaire. Note- If purchasing this photo, we recommend one of the following sizes: 8x10, 16x20 or 24x30.